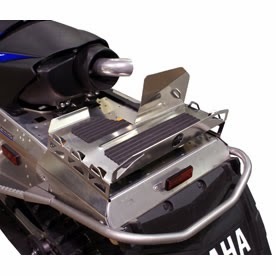 Yamaha exclusively designed FX Nytro rear luggage rack is made from durable 5052-H32 aluminum. Hydro-turf platform offers better load stability. Includes accessory Exhaust Turnout and must be installed with rack. Failure to do so could cause damage to rack and cargo.